But my holiday is over now and I'm looking back on what I wore to see how well I worked my capsule suitcase contents. Here is a selection of my daily photos from the trip away. 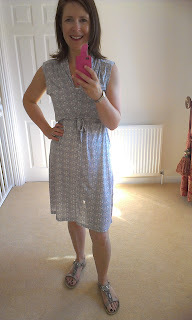 I've saved some photos for separate blog posts and there were some repeat wears - that's why there aren't 14 photos! The first photo was taken the day we arrived in gorgeous Looe and I'm sporting my Primark floral jeans - more on these coming soon! A cool rainy day at the Eden project required the two (reluctant) last-minute additions to the suitcase. I had a re-think on the morning we left and removed two items (blue pumps & pink jeans) to make room for long boots & an anorak. And I was glad I did - they were necessary though thankfully just for one day. My blush lace top was great for throwing over a vest, on cooler days with dark jeans and on hot days with white cropped jeans. My Wallis scarf was a perfect match with a navy H&M t-shirt and the pumps picked up the pink in the scarf. 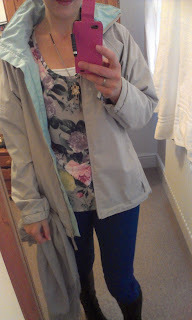 I wore my M&S denim jacket over this outfit on the cooler days. 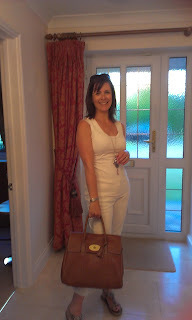 and she kindly brought along her Mulberry for me to try for size...perfect I think! 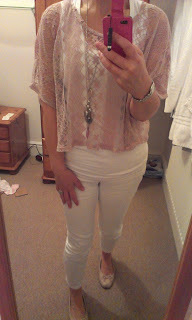 However, it seems you are the queen of mixing and matching and I NEED that blush lace top! Your very stylish godmother looks far too young to be your godmother. I hope You found out what her secret is. Does it run in the genes. If so we are in luck.. Love the sea salt tunic. Discovered sea salt in Kilkenny recently . Lovely stuff. U looked great in all outfits . Padmore and Barnes factory shop sells seasalt (Kilkenny) they have a great selection and good bargains. 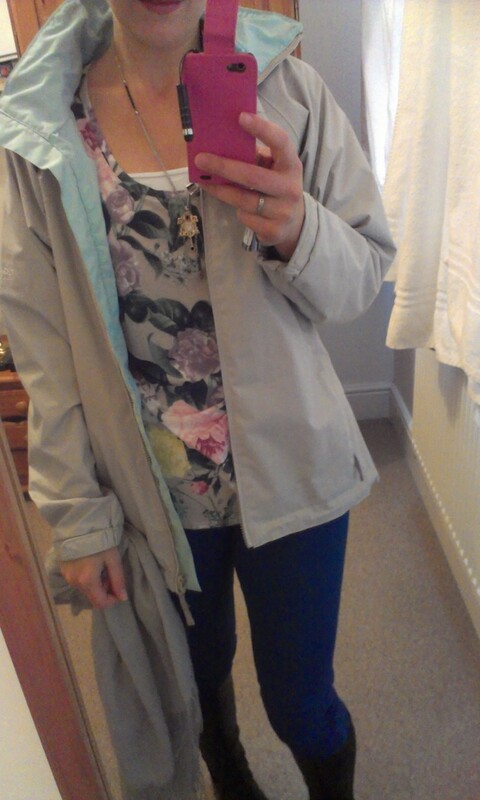 My friend Katri bought a sea salt jacket in Dublin , dundrum I think, so Thats two places down here. I love seeing everyone's capsules. I have just packed my suitcase ready for our trip to Barcelona oon Thursday. I have a post all ready on the very same subject. Thanks for stopping by my blog the other day! It's really cool that you found me through Francesca's Blog Don't Call Me Fashion Blogger! I really love interacting with bloggers in other countries. 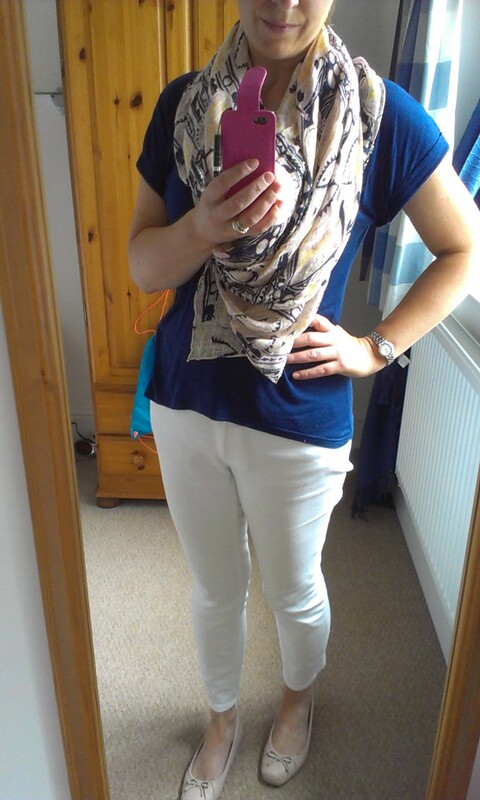 Loving your looks in this outfit, especially the fun prints! 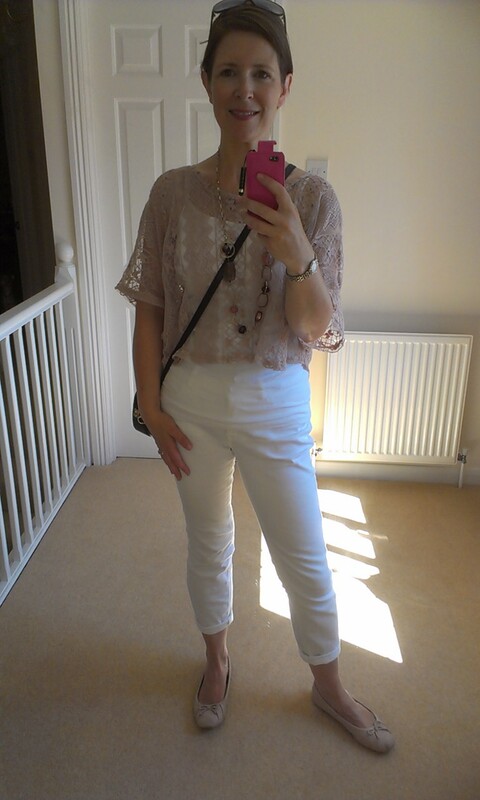 Wow - what a selection - you look great - all your looks are stylish and versatile ..
Great post - so glad to hear you had fab weather! 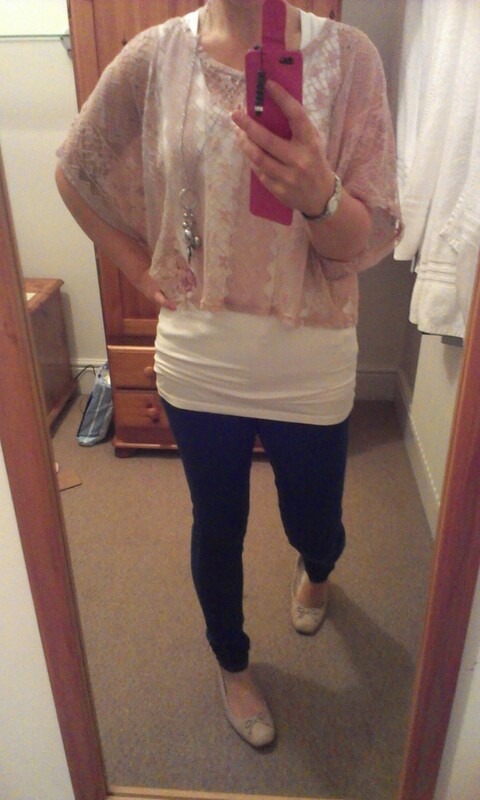 LOVE that outfit with the mauve longline tee - suits you so much! The Seasalt tunic is really lovely on you too. 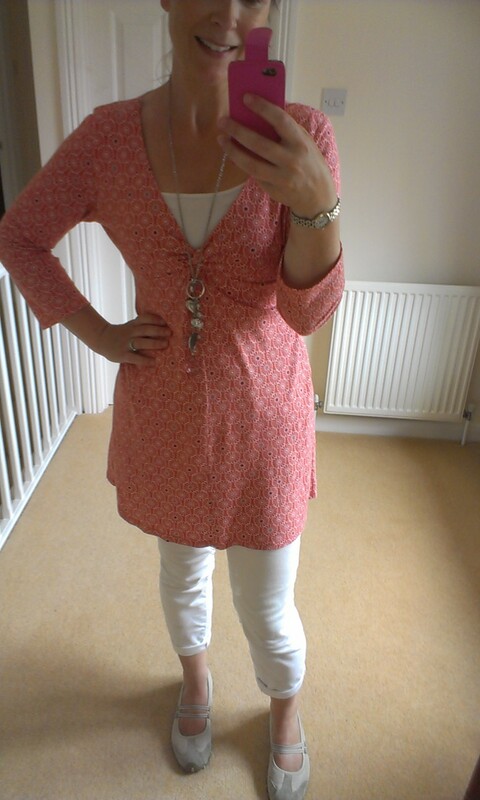 I love the Seasalt tunic, it really suits you! It's nice to find another Mom Fashion Blog! Great posts, love the outfits. when you have a chance (I know how busy you are), check out my blog and maybe we could follow each other.